Defining and finding your target market is one of the most important tasks you can do in your business. When creating surveys, it is important to understand who you are targeting and why. Understanding who you are targeting can help you to create a survey that is built just for your target audience. Better designing your surveys to reach out to your market can help you receive solid data that can help you break down further into exactly the type of person your business needs to focus on for sales. In addition to helping you define your target market, customer surveys help you measure and assess the level of customer satisfaction and the chances that they’ll buy from you again. By using proper methods you can take the time to hone in on your target market by surveying your current customers to help you gain new customers. Adopting the approach of assuming that your customer base is comprised of an equal cross-section of all segments or demographics is no longer enough to support a new business. The marketplace has simply become too differentiated. In courting potential customers, you must consider their age, gender, lifestyle, and their technological sophistication. If you just attempt to serve every possible person and group, you could be on a route to failure. Identifying a target audience provides a clear focus of whom your business will serve and why those consumers need your goods or services. Determining this information also keeps a target audience at a manageable level. Since it’s impossible to reach everyone at once, narrowing your focus to a core audience helps you to develop an effective marketing strategy. It helps your company craft a messaging strategy that appeals directly to the type of consumers who are more likely to convert into customers. Once you have all this info, you have an image of your target market: who they are, what they do, where they spend their time, how they hang out, where they work, etc. It is also more cost-effective to refine your audience because your campaigns are run on a smaller, more focused scale. Instead of sending direct mail to every local household, you will receive a better return on investment by targeting consumers who may already have an interest in your type of products or services. 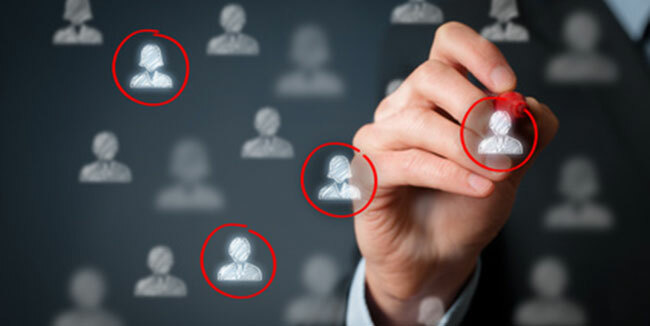 When selecting your audience, personas are an available targeting choice in addition to the general demographics. Personas can be used to further narrow in on your target audience and truly get a sense for what they like/dislike. They serve as an alternative to trying to navigate through social media or browsing data for more information about your respondents. These persona breakdowns are a key characteristic of targeting for the Pollfish survey company. Pollfish is a surveymonkey audience alternative that has developed new and better ways of targeting your audience. These personas give you a better idea of who your customers actually are. Fashionistas, Music fans, or travelers? Find out which ones are visiting your site through your surveys. With this, you can go forth and use this deeper understanding of them in order to make better decisions. If this is your first ever survey, you may believe you have no past data to pull from. However, this is far from true. Even if you have only made 50 sales in the past year, you still have data you can analyze and use. Analytics is the leading tool in improving your business. This is because they poll in your past. By understanding your past, you can better plan for your future. When it comes to the future one of your biggest goals should be gaining more customers. Surveys can help you find exactly who those new customers will be, and where you can find them. Even if you believe you know who you want to market to, your customers may be different from that original idea. You need to have a good understanding of your audience broken down into different demographics. It is best to break your data down into as many different options as possible. Not only using demographics like race, age, and location but psycho-demographics such as interests, lifestyle, and beliefs can allow you to better hone in your target audience. Differentiate your brand from competitors. When you stop trying to speak to every customer in your market and start focusing on a smaller segment of that audience, you also start to stand out from competitors in your industry. The ability to stand out from competitors by reaching your customers on a more personal, human level also creates longer-lasting relationships. When customers identify with your brand and feel like you are an advocate for their specific perspectives and needs, they will likely be more loyal to your brand and continue to do business with you over a longer period of time. They will choose you over a competitor that isn’t specifically speaking to or targeting them. You can use your positioning in marketing to make your brand more well-known and unique. The more your website, products, marketing materials, social media posts and everything else that you do in your business speaks to your target market, the more connected they will feel to you. And the more connected they feel, the more likely they are to support your business. By using this data and targeting your market you can build your business with your customers’ opinions at the forefront. Everything can be planned around them. From what time you send them an e-newsletter, to when you publish a blog post, to when you interact with them on social media. By understanding their habits and behaviors, you can maximize your appeal.